This exhibition positions two forms of sites or environments in relation to each other: an analogue or natural wall, synonymous with the expression “watching paint dry”, and a virtual or digital wall in its most basic form as the Microsoft Windows 95/98 Maze Screensaver. 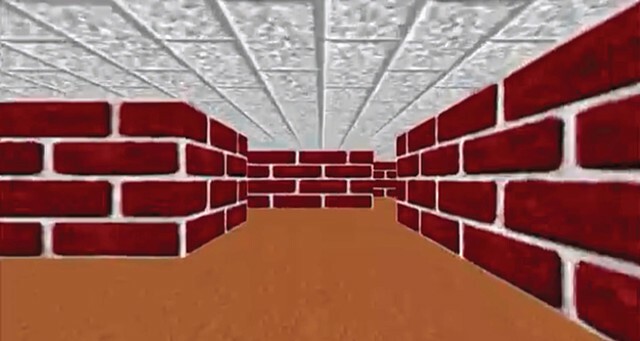 The maze screensaver is now an outdated and outmoded program that is familiar to many as a default setting on many PC computers in the late 90’s and it featured navigation between walls in an endless maze (Figure 1). Through their juxtaposition, comparisons are drawn between the expression “watching paint dry” and “watching a screensaver.” The irony is, however, that people in fact purposefully watch this screensaver; there are over 8,330 video results for “maze screensaver” on YouTube as of September 29th, 2013, and at least 1 million views combined. Ultimately, in this exhibition the physical wall in the expression “watching paint dry” and the walls in the screensaver are used as markers of two different experiences, and their comparison brings light to their similarities and differences and how each is received in contemporary society.